It is not unusual to have high cholesterol level in your blood. It happens even to the best of us. But if you suddenly find out that you have high cholesterol you must immediately take action. This is called Cholesterol Management. It may seem a pretentious notion, but it keeps you away from heart problems. Cholesterol management involves few simple rules for lowering your cholesterol level: eat low fat (it doesn’t matter if it is saturated fat or total fat, they are wrong nonetheless) foods; lose weight; eat fruits and vegetables; grill your food instead of frying it; and start being more physically active. Aside from these basic rules, there are some factors that can help you with your cholesterol management action. Research has shown that nature is providing us with all the necessary elements for a healthy life. In this case, plants help reducing cholesterol. You don’t have to eat the entire garden; you just need to keep in mind 3 herbs that are essential to cholesterol management. Garlic curing properties have been known for centuries as it was used for treating different illness. Garlic has a highly concentrated content of organosulfur substances that can be also found in vegetables like cauliflower, onion and broccoli. But garlic sulphur concentration is four times higher than other vegetables. Why is garlic good for managing your cholesterol? Well, sulphur lowers the serum cholesterol level (LDL or bad cholesterol) and raises HDL or good cholesterol. It does this by decreasing the clotting effects that are causing plaque formation in blood vessels and arteries which are responsible for the occurrence of heart disease and strokes. In other words, garlic is providing a good, healthy blood circulation. Latest research has shown that saponins in alfalfa seeds are blocking the formation of atherosclerotic plaque which is being caused by the accumulation on cholesterol in the blood vessels. Alfalfa seeds are attacking the low-density lipoprotein (LDL), removing it from the blood and replacing it with high-density lipoprotein (HDL) which is good for the human body. However, you must pay attention to the amount of alfalfa seeds you would be using as consuming them in excess may cause damage to the red blood cells. Everybody has eaten capsicum for at least once in his/her lifetime as it is a spicy herb used for making salsa and chilli. It has been proven that the extract of this plant stimulates the blood flow. This means that capsicum extract is making the slow and toxins-loaded circulation faster, determining the blood to reach the far parts of the body that need oxygen and nutrients. It has the same favourable effect as garlic. These are the most important herbs to be used in cholesterol management, but if you want to add some spice in your life, you can use: Ginseng, Turmeric, Cayenne, Aloe Vera, Saffron, Dandelion, Burdock root, Red Clover blooms or Echinacea root. But remember consuming these herbs in excess can result to side effects so always consult a doctor before using them. When attempting to lower cholesterol, you have a choice between natural and synthetic options. In the quest for a natural cholesterol reducer, many herbs have proven promising for those struggling to control cholesterol levels. Three herbs in particular stand out as potentially effective and are commonly used in integrative medicine. 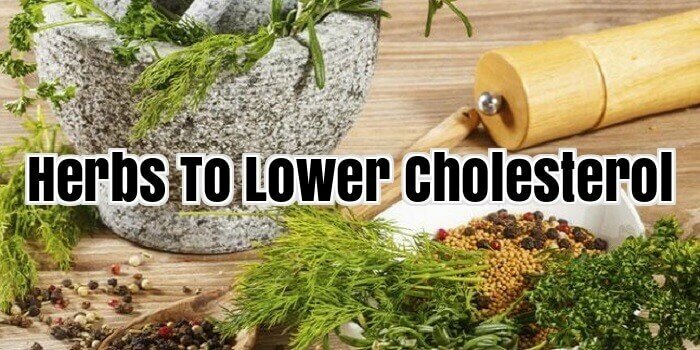 If you’re looking for herbs to lower cholesterol, read on! Artichoke leaf extract, one of the top herbs to lower cholesterol, works by interrupting cholesterol synthesis in your body. Found naturally in artichokes, a substance called cynin can increase the production and flow of bile in the body. Between these two actions, cholesterol is excreted at a higher rate, which means it doesn’t stick around to clog your arteries. One study suggested cholesterol was lowered by more than 18% in six weeks after participants took 1,800 mg of artichoke leaf extract per day. Once fermented by Monascus purpureus, or red yeast, rice is transformed into what’s commonly called red yeast rice. Used often to add a splash of colour to foods, red yeast rice is often associated with red wine or Peking duck. For a millennium, China has turned to red yeast rice to alleviate a variety of physical ailments as well, such as poor circulation and gastrointestinal issues. In recent years, red yeast rice has been found to reduce blood lipid count. Unfortunately, most commercially-sold supplements contain just a tiny amount of red yeast rice, at most. Among herbs to lower cholesterol, green tea is perhaps the most widely available. Recent studies suggest green tea is effective in reducing cholesterol levels, adding to its well-known antioxidant properties. To be effective in cholesterol reduction, green tea in excess of 80 ounces per day would be required. But, for people who already love green tea, this is hardly a challenge! Though formal research on effectiveness is lacking, some believe other herbs to lower cholesterol are available. Specifically, yarrow, holy basil, ginger, turmeric and rosemary have proven successful for some individuals. Natural herbs for lowering cholesterol and other natural production have gotten around a lot longer standard prescription drugs that you need to use nowadays to put under control high cholesterol. Eventually, they are always derived from trees, plants and others natural sources. By the drugs and foods administration, unfortunately, we don’t have herbal drug regulated, and then you have to pay attention about what other medical are in the pill you have to take than the herb that you want to take. That why we suggest you to be careful and you need to consult your health care practitioner medications before you have to take. And there are too many products that you have to use as an alternative for the treatment high cholesterol. You can consider some especially optimal to people who are regulating their cholesterol levels including exercise and diet. These let us know natural products decrease cholesterol level by dissolving fat throughout the blood. Even if lot of studies has gone into evaluating which we find natural products are more helpful in lowering cholesterol levels, it isn’t the exact mechanism by wish it does completely understood. Talking about natural herbs for lowering cholesterol the following list with natural products have been noted to lower cholesterol levels into the study. We get Vitamins B, beside niacin, reduce the rate at which is damaged through oxidation. Carnitine has been seen to high HDL levels, otherwise reduce total cholesterol levels. Chromium have been seen to low LDL level and high HDL level. Fibre can be seen through fibre supplements or through foods like vegetables and whole grains. That fibre binds to cholesterol in the little small intestine. All of these ingredients are consider like some products that you can use for the treatment with natural herbs for lowering cholesterol.